If the Dutch scientists responsible for in vitro meat are right, we could be seeing lab-grown meat a whole lot sooner than expected. 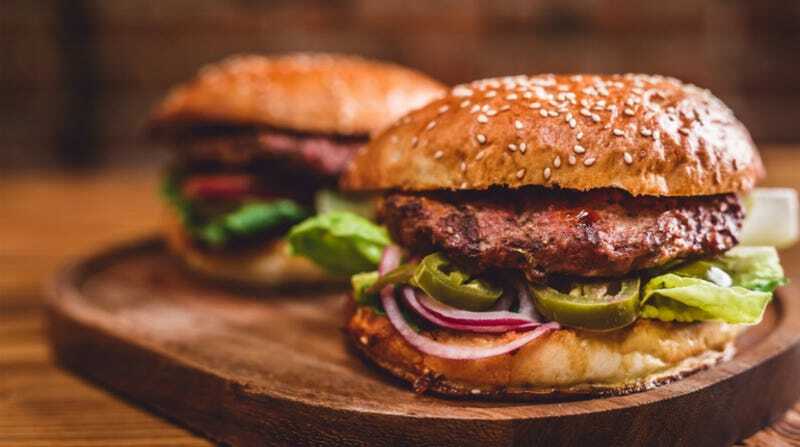 Two years ago, researchers at Maastricht University in the Netherlands led by Professor Mark Post produced a lab-grown burger that cost roughly $380,000—since then, production costs have been dropping rapidly, and are expected to continue to do so. The taste was essentially described as “close, but not quite” by one taster, although another thought it tasted like real meat. This week, a new company, Mosa Meat, is being formed to make lab-grown meat as cheap and tasty as possible. Via the BBC, Peter Verstrate, the man in charge of Mosa Meat, thinks we could be seeing in vitro meat hit the market as soon as five years from now. As a helpful reminder, lab-grown meat consumes about half the energy of traditional meat production, produces about 4% of the greenhouse gas emissions, and uses about 1% of the land. It also effectively eliminates animal cruelty concerns. There’s also the cost in food and water fed to the animals themselves. Basically, if lab-grown meat can become cost-effective, it’s a net benefit to the human race and our dwindling resources in every conceivable way. Taste is probably the single most important factor, as the key here is making a lab-grown burger taste like an actual hamburger. No matter the potential environmental or ethical benefits, no one’s going to buy these things if the taste isn’t spot on. Verstrate understands that, talking at length about how getting the taste right (his goal is essentially to get lab-grown meat to taste exactly like the kind we’re all used to) is crucial. Let’s hope he’s right about the timeline; the sooner we have widespread access to lab-grown meat, the better off we’ll be.